Step 6: You will now notice that the discount has been applied as the Membership Fees have dropped by 30% for 3-Month memberships! Sittercity is a website that was created Genevieve Thiers. She was a college student back in 2001 and worked as a baby sitter. Initially it was a Boston venture as that was where she was located. It was originally used to give locals a chance to find baby sitters and nannies in the area. As all good things do, the idea caught on and it spread to other cities which eventually lead to it moving to Chicago in 2002. The growth since then has been phenomenal necessitating the need for startup capital and the care formula spreading across America as well as the kinds of care catered for. Sittercity, itself, uses a very simple formula of sign up with your information and a password. This applies to both those offering their services as well as those seeking the help of a baby sitter, a nanny, a caregiver for the aged or even for a house keeper. This is an example of how the site has spread its tentacles right across the board. All kinds of care and home help is now being catered for here. The really scary part of leaving your child or your grandmother in the charge of someone you don’t know has been taken out of the equation with this site. Background checks can be run on the people who apply in answer to your advertisement on the site. You have total control on what checks you want to run. Feed back and reviews are left by previous employers and are available to for the potential employer to read. Obviously there is going to be a cost involved in a good service like this. It is far from cheap to run a website that is top tree. There are three plans available to those that wish to join. A yearly plan, a quarterly plan and a monthly one; the costs are respectively $140, $70 and $ 35. 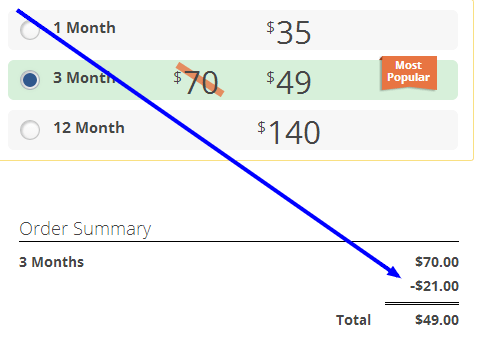 Obviously, if you are going to be using the service regularly, it pays to sign up for the yearly plan as it works out at just $11.67 a month although it is payable in one sum in advance. In addition, you can save on your membership by taking advantage of a Sittercity promo code which can be readily found on the internet. There are additional external costs depending on what checks you want to do on any person. These are external servers that are provided by a link. A background check will cost you $9.99. When you take into account that it would take you hours to do these check on your own, even supposing you know how to set about them, this service is worth its weight in gold. There are several companies that have joined as corporate members thus enabling their employees to make use of this service as part of their normal company benefits. This program was introduced to Sittercity in 2005 and has been given the seal of approval by the USA military which now means that the military has free use of this site. There are several extremely well known brand names that make use of this for their employees such as Fox News. Any yes, this applies to pets as well. With the extended service that Sittercity has provided, they have included both house sitting and pets. This provides an excellent service to people to whom their pets are their little people. There are many people who hate the thought of their pets being locked up in kennels while they are away enjoying themselves on their vacation. One is never sure of how your pets are going to react when going to a place where they are locked in a cage and only taken out for a brief run. This is really a family member be they canine or feline. They are used to being with you in your home and enjoying your company and giving you company. How much better for them than to be looked after by a caring person who will walk and feed them and keep them company. In addition to pets, house sitters will look after your plants and water your garden. All this makes you feel far more content and your holiday far more enjoyable knowing that all things left behind are being well cared for. Sittercity has really thought of everything when it comes down to the nitty gritty of finding the right sitter. Have you stopped to think of what questions need to be asked of the person you are going to be leaving in control of your nearest and dearest? They have gone to the lengths of giving you a interview list you can make use of when you reach the final stages of deciding on who you are going to employ. Unless you are used to doing this sort of thing, there are often questions you might forget. By getting their checklist you will probably cover far more than you would left on your own. Always do your due diligence on anyone you are going to leave in charge of anything in your home. Remember the friendliest of people have turned out to be crooks and axe murderers. Sittercity has the “where with all” to give you peace of mind. Sittercity Coupons – 4.7 out of 5 based on 357 votes. Sittercity Scams – Is it a Myth? How Do I Become a Caregiver at Care.com? BabySitter Needed Today? Check out Sittercity! Looking for a Great Sitter Service?